“Come to the edge” he said. 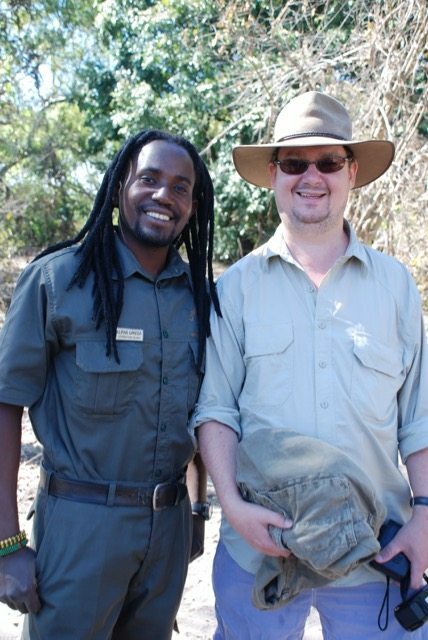 “Welcome to Livingstone Island. I am Alpha Omega” our guide beamed, taking a firm grip of my hand and hauling me out of the rickety metal boat and onto one of just two islands large enough to divide the 750 million litres of water that cascade over the edge every minute. 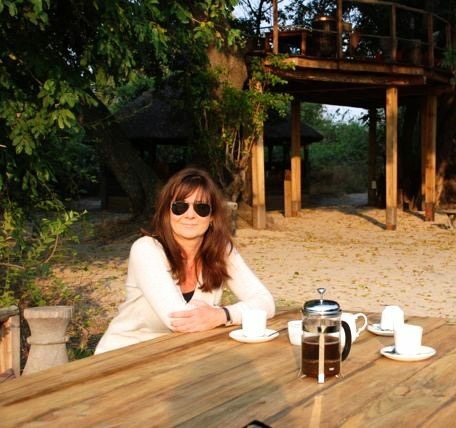 We had finally arrived at the crest of the Victoria Falls in Southern Africa, on the Zambezi River, near the border of Zambia and Zimbabwe and had been temporarily lulled into a false sense of security at the thought of being looked after by a Demigod. What could possibly go wrong? “I want to change my name to Alpha Omega” declared my brother, Gavin. 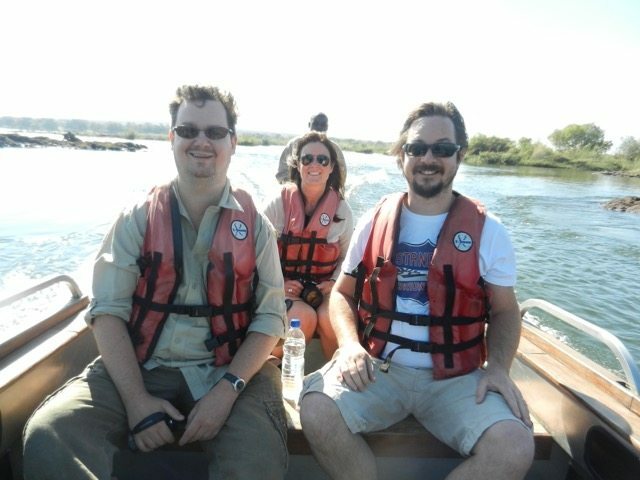 All journey’s have hidden gems of which the traveller is unaware and this was no more true than when my two brothers and I fulfilled our father’s dying wish to take his ashes back to his beloved Victoria Falls. 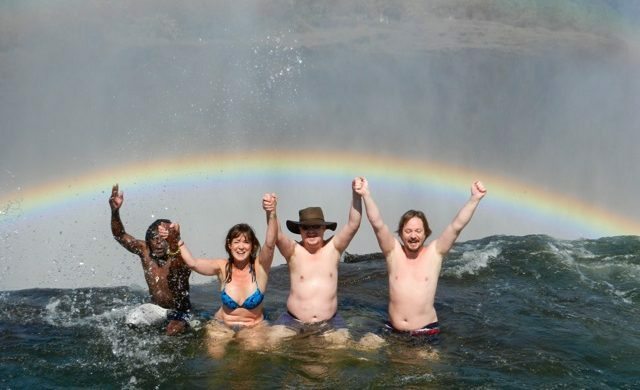 Because our mission was to get as close to the waterfall as possible with our priceless cargo, we decided, with an astonishing lack of research, to sign up for the breakfast tour to Livingstone Island, which included Eggs Benedict and a dip in a pool. What could possibly go wrong? As a young boy of ten, our father often travelled for days by train from his school in Kimberly to his parents home in Lusaka and for him, hurtling above one of the Seven Natural Wonders of the world, watching the largest sheet of falling water on our planet from the bridge, was one of his most abiding memories. 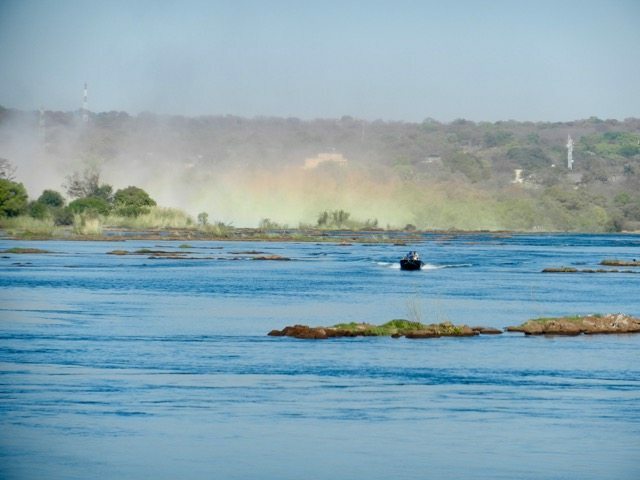 For us, on reaching the hazy rainbow-hued mist overwhelmed by the immense power of the crashing water, locally named Mosi-oa-Tunya, “The Smoke That Thunders,” we understood. 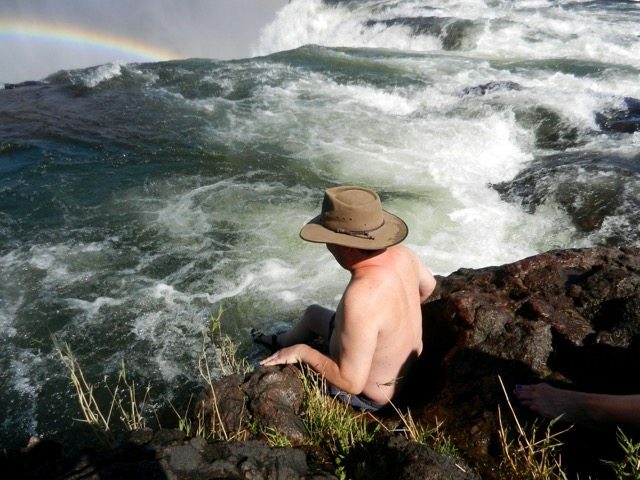 When Alpha Omega told us to strip and leave our shoes and camera equipment near the edge of the gushing Zambezi river, I began to worry. We each had leather bound, waterproof bags my mother had made us, containing our father’s ashes. My brothers had to place their precious cargo under their hats. I had to attach him to my bikini top, mumbling an apology as I did so. “Are you all strong swimmers?” Alpha Omega asked us and then I really started to panic. “Hold hands and follow me.” We did what we were told and carefully walked single file, across shallow sheets of volcanic rock that hurt my feet. We hadn’t held hands for 35 years and if it wasn’t for the fact that we were about to die a horrible death, it would have been quite a moving moment. “You must do exactly as I say. When we get into deep water, you must swim UP, UP, UP. Very fast and very hard before swimming ACROSS. NOT DOWN and DO NOT STOP. DO YOU UNDERSTAND?? ?” I nodded pathetically, wondering if it was too late to ask for armbands and a rope. We urgently swam for our lives. 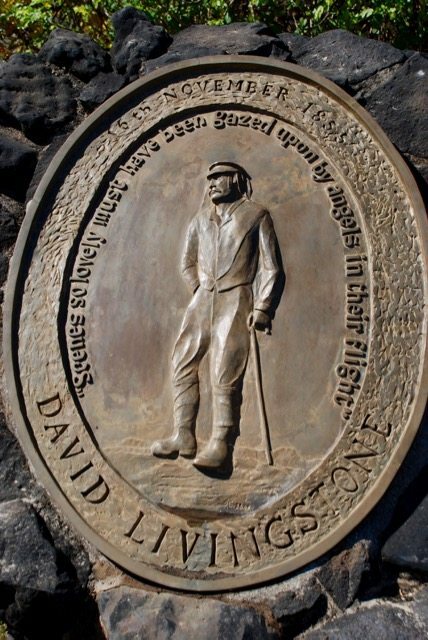 Thoughts of my own three children safely tucked up in London urging me on, before clambering out, lying prostrate, like drowned rats, catching our breath. We had another further stretch of swirling rapids to get across, but my legs were now refusing to co-operate because I was shaking so much. I had never been more terrified in my entire life and yet the irony of our situation had not escaped us. Our journey, since we’d arrived for our mission in Africa, had consisted of a gruelling assault course, which included losing our luggage, nearly getting kidnapped whilst trying to retrieve it, a turbulent flight in a teeny plane, a fall into the Zambezi during a fishing trip, a narrow escape from getting trampled by a hippo, an even narrower escape from an elephant stuck in my loo and an altercation with a leopard in camp. 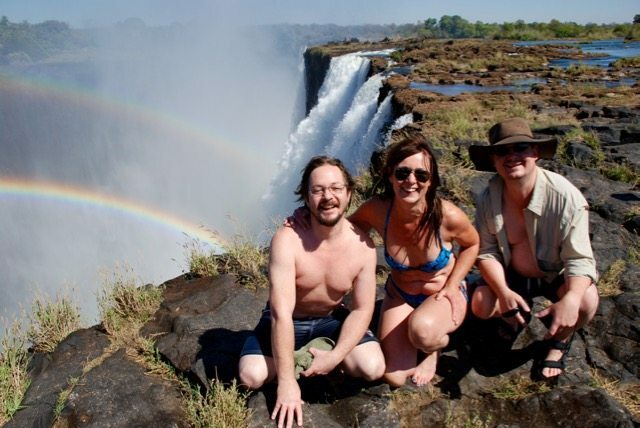 We weren’t insured to die in what was about to become one of the world’s most embarrassing accidents: “Three siblings plummet to their deaths whilst attempting to release their father’s ashes over the edge of the Victoria Falls.” I suddenly felt really, really sorry for my mother. Finally, we had reached the last hurdle, braced and petrified on the ridge above “The Devil’s Pool.” Staring down upon a sheer drop into the naturally formed rock barrier, quite literally on the edge of the falls. Alpha Omega, gave us our final debilitating safety talk. “Don’t jump too far to the right because you will hit a rock. Don’t jump too far forward because you will go over the edge of the falls.” He then did a somersault into the pool and immediately lost his demigod status in my eyes. We had no choice but to leap. No negotiating with nature here. It was not a pretty sight. Once in the swirling mass we were pulled like magnetic flotsam to the edge, where we clung on for dear life, feeling totally and utterly out of control. Mr Devil Incarnate himself then made us sit on the edge, hold hands and raise our arms up high, shouting a triumphant “ZAMBEZI!” It was at that moment, we released his ashes and said our private farewells as he cascaded over the edge and off into the glorious multicoloured sunlight where the most astonishing double rainbow had appeared to light the sky. Spray shot upwards and outwards like inverted rain. We felt uplifted and yet very small and humbled, part of a life force that was just so, so much bigger than we were. 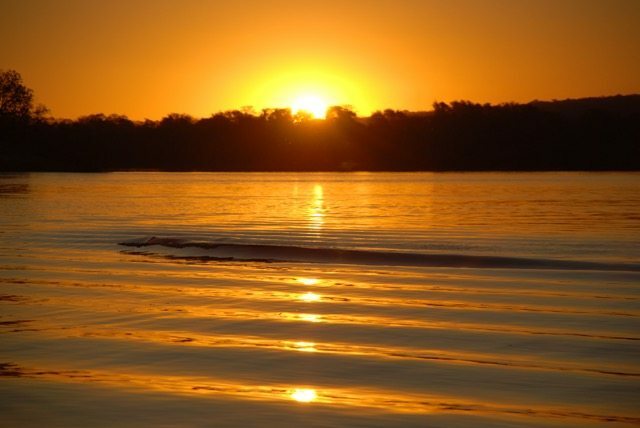 Our achievement was immense and it generated an unexpected sense of pure peace.